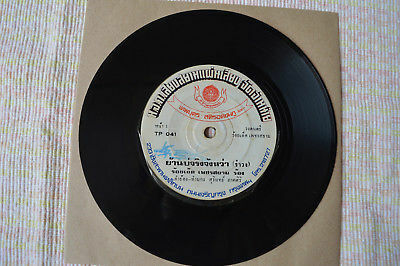 "Original album from thailand 1970s"
We accept PayPal only. All major credit cards are accepted through secure payment processor PayPal. Payment must be received within 7 business days of auction closing. If you have bought multiple items from me, you can send me one payment for all the items instead of paying for them individually. When you click the Pay Now button, eBay will automatically determine if there are other items you have won or purchased from me and will combine them for your review. - If there is special required for us to offer with your goods, just feel free contact me, instant reply will be given with 1 working day except the email system error or weekend holiday delay. - Once your item arrives in satisfactory condition. Please leave positive feedback for us. Our automatic system will do the same for you in one minute. - Please contact us before you leave Neutral and Negative feedback, we'll try to make you happy. - Customer satisfactory is most important to us. If you have a problem or question regarding your transaction,please contact us before leaving any type of feedback. - We would like your positive feedback ,we also will do it for you . - To help us respond your messages more quickly,we recommend you use the ebay message system to communicate with us. Thank you for your buying! !good luck! !